The hearing aid experts at Carlton Trail Hearing Clinic will help you choose the best hearing aid type for your hearing loss level, lifestyle, and budget. This a great style for people with mild, moderate, or high frequency hearing loss. 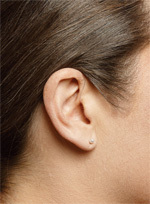 These devices sit behind the ear, and are small with a slim tube that anchors to the ear canal. Slightly larger than RITE model hearing aids, these are attached to a custom-made ear molds. 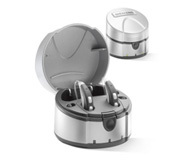 These types of hearing aid batteries are larger and last longer without having to recharge or replace them. This hearing aid sits in the concha of your ear. It comes with an easy-to-use program button and volume control if desired. Slightly smaller than custom ITE hearing aids, this product allows for discretion. 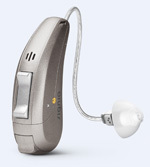 Many people who are self-conscious about the need for hearing aids choose this option. Completely-in-the-Canal hearing aids sit hidden inside the hearing canal. Unfortunately, they are too small for a volume control and have a much shorter battery life. However, if discretion is your main concern and you can deal with these types of settings, this may be the perfect hearing aid for you. These types of devices work with or without hearing aids, providing help for difficult listening situations. Plug these devices into your computer, stereo, TV, sound field, or other electronic device. FM systems can help you overcome background noise, reverberation, and distance problems. Children are often busy learning and growing, experiencing a wide range of sound in their daily environments. Oticon's speech processing features preserve fine details of sound, helping your child perceive speech clearly. Their specific product, Sensei, is designed for development and adapts to any child with hearing loss. Advanced, automatic, and coordinated systems, such as adaptive directionality, feedback cancellation, and noise management give your child intelligibility in situations where they need to listen. For more information about the Oticon products we sell for kids, click here. 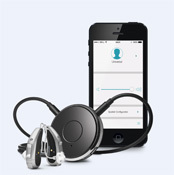 OPN is Oticon’s most advanced hearing aid ever. OPN’s goal is to help you hear better with less effort. OPN has an advanced connectivity line that allows you to connect to your TV, cell phone and any other Bluetooth devices. It has a cellphone app that allows you to control your hearing aid’s volume, noise suppression and can even allow your cellphone to work as a remote microphone for those very difficult listening situations. These types of devices work without hearing aids. 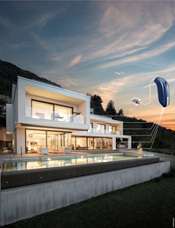 We have products from Oticon's sub brand, ConnectLine, to assist you in making calls, having video chats, listening to music, or watching TV. It is easier to stay in touch with loved ones from a distance and enjoy entertainment. See how discreet Oticon can be. Oticon also has easy to use apps for your smartphone. From the popular industry brand Signia, we offer devices that give you discreet wireless control of your hearing instruments. Stylish devices give you discreet, wireless control of your hearing instruments. From high quality batteries to a re-chargeable hearing aid solution, Signia keeps your products working optimally. Aquarius is Signia 's waterproof hearing aid that is available in five colors. If you love to swim, boat, or do other activities on or in the water, this product is for you. It will stay securely over your ear and its working parts will not be damaged even when completely submerged in water. Primax is the new and versatile product line from Signia/Sivantos. 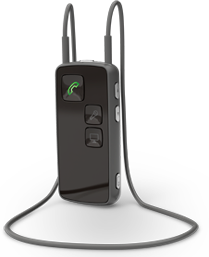 Primax products offer Bluetooth options, remotes and are available as a rechargeable hearing aid option if desired. Primax hearing aids even have the option to be controlled by a cell phone app to adjust noise suppression, volume and directionality. 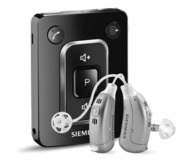 Both Oticon and Sivantos/Signia have special medical devices to help deal with Tinnitus. These devise are a combination hearing aid / sound therapy device, sometimes called a Tinnitus Masker. These devices help retrain the brain so it does not focus on the tinnitus and help calm the noise down.